Collection will be available from our mobile store at ALEC in Tamworth from Wednesday 4 April - Saturday 28 April. Pair pretty Charlee vest with a color-coordinated saddle blanket and you've got a great (and so comfortable!) 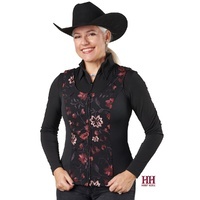 show outfit for just about any class. 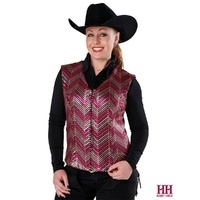 Fitted stretch vest fabric is topped with a classic chevron motif created from related shades of matte sequins that lend subtle shine and slenderizing geometric lines to your show look. 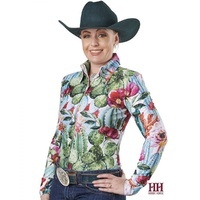 Poly/spandex, hand wash.
Help other Horsemans Trading Post users shop smarter by writing reviews for products you have purchased.